The CJ Banks brand is designed for women who want to look good while wearing plus-size clothing. Their designs are for those considered middle-aged, between the ages of 40 and 60 years old. Make sure to take your CJ Banks coupons to the nearest store so you can save at checkout. The company started out operating under the name of Braun's Fashions in 1956. It operated under this name for decades. 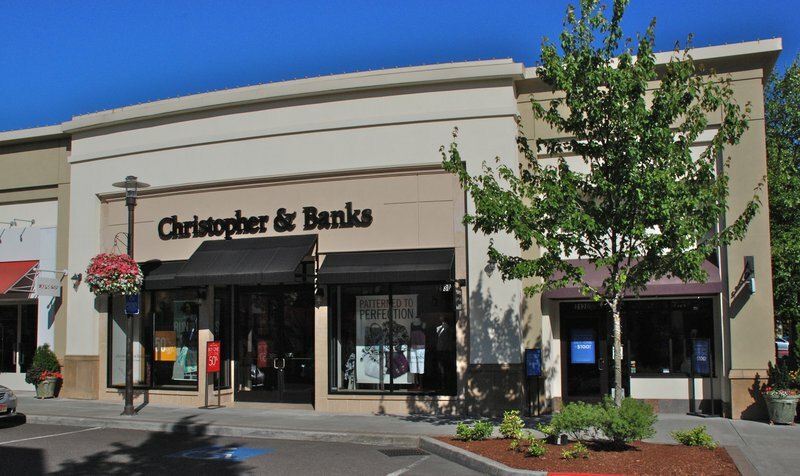 It wasn't until 2000 that the company changed its name to Christopher & Banks. The company also founded the brand CJ Banks in that same year. This offshoot brand was designed for women who wanted the traditional brand in plus sizes. A few years later in 2004, the company again expanded its selection of brands. This time, it was behind the acquisition of Acorn Stores. However, the brand only lasted four years after the purchase, with the company closing all of the stores in 2008. The CJ Banks brand operated independently for over a decade. In 2014 however, it was merged with the regular Christopher & Banks brand. The merchandise is still available in the stores in separate sections however. If you are interested in buying a lot of merchandise from the company, then it pays to get it all at one time. The more money you spend, the more you can end up saving. Customers who spend more than $50 can get a discount of $15, while a $20 off discount is in order for those who spend more than $100. There are always special deals on various items in the catalog. For example, you can save up to 80% on dresses, skirts, and jackets at the moment. If you're really interested in getting a great deal, then make sure that you check out the clearance section on the website. There's no need to use a CJ Banks coupon if you're a member of their Friendship Rewards program. You'll automatically be entitled to receive great deals such as free shipping on all of your orders. Merchandise in the CJ Banks catalog is designed to fit smaller teens down to size four all the way up to plus sizes. Some of their many clothing options include sweaters, vests, blouses, jackets, pants, tops, bottoms, and dresses. Customers will find plenty of accessories like hosiery, belts, and shoes available also. There is also a selection of jewelry such as necklaces, earrings, and bracelets. The company offers a store credit card that will really help you save. After joining, you will receive a 15% discount off your first purchase. Also, members automatically get free standard shipping for their online orders. Every dollar that you spend will earn 15 points towards special rewards. Members even get a special gift on their birthdays. All of these perks are available with no annual fees with the card. The official website can be found by visiting christopherandbanks.com. If you would rather not shop online, you will have no trouble finding your nearest CJ Banks outlet. All you have to do is use the find a store feature available on the website. If you plan on being a loyal customer, then make sure you sign up for the Friendship Rewards program. Every time you earn 2,500 points, you will earn a CJ Banks gift certificate worth $10. You'll earn 10 points for every dollar you spend, so you should hit this reward in little time. Another benefit of joining the program is that you will get free shipping on your orders.